Some candidates are worth the time. 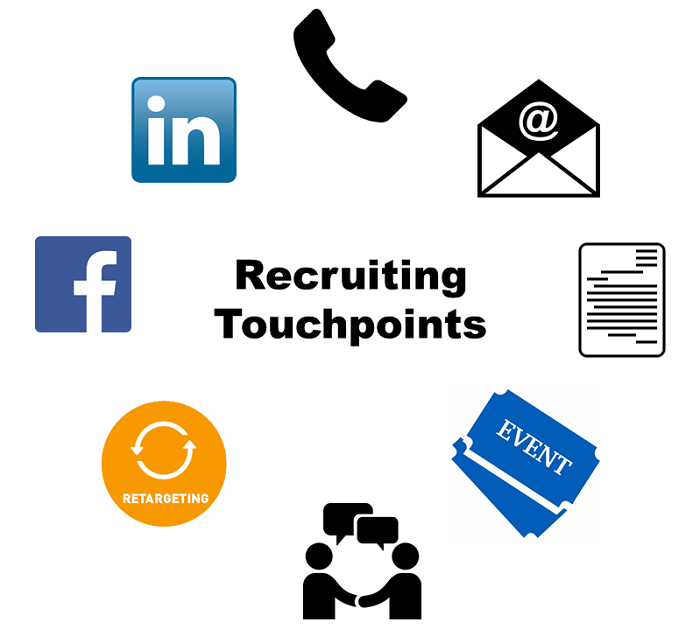 A Talent Acquisition leader at a Fortune 500 company told me the other day that their team has to make 17 touches to recruit passive candidates. What a great stat to track! By “touches” she is referring to 17 outreach activities (she was excluding screening calls and interviews) it takes to close a passive candidate. I believe recruiting is no different than sales and sales trainer Grant Cardone has some interesting related data: he claims that 95% of sales closes happen between the 3rd to 12th touch. 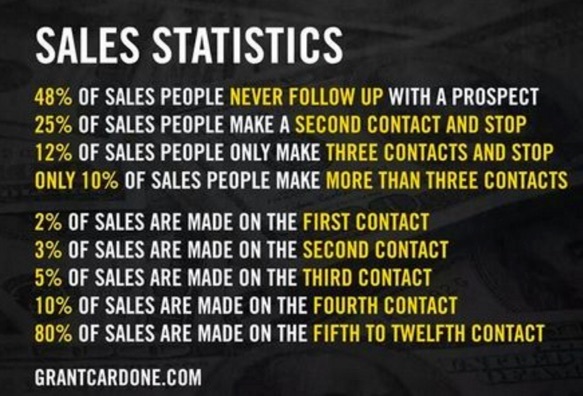 The problem is that only 10% of salespeople even make a 3rd contact — I’m guessing recruiters are about the same. Phone call/voice mail — If you get them to pick up, introduce yourself and ask “is this a bad time?”. That gives the candidate the illusion of control as they say in sales and makes them feel more powerful. Good luck with those touches!